5-year-old begs her father to stop stabing her mother in South Africa . Five-year-old daughter of murdered Priska Thandeka reportedly witnessed the gruesome murder of her mother by her father, new reports said. Sebeshi Zacharia Mojela, a security guard allegedly stabbed his 29-year-old girlfriend to death in Commissioner Street, South Africa on February 27. He was charged with murder. "She apparently kept begging him not to kill her mom and kept saying, 'No daddy, stop killing mommy," said family friend, Raele Labani. The accused made his second court appearance in Kempton Park Magistrrate’s Court on Tuesday morning, March 14th. Mojela (28) was meant to apply for bail, which he did not. According to Capt Jethro Mtshali, spokesperson for Kempton Park SAPS, Mojela chose to abandon his bail application. “He will remain in custody and the case was postponed to May 4,” Mtshali said. Chalk and Mojela first met when she was a teenager, during the times she would visit her mom. According to Lambani, Mojela at the time lived with his mother where she worked as a domestic worker in Glen Marais. By 2007/2008, the bright young Schalk had completed her tuition and was searching for a job. 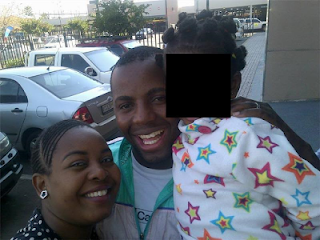 Lambani also told EXPRESS that the pair were in fact legally married, although Schalk had not changed her surname. According to Lambani, Mojela completed a security course after matric and has worked as a security guard since. She says she is still shocked at what happened, as he was not a violent or disrespectful person. 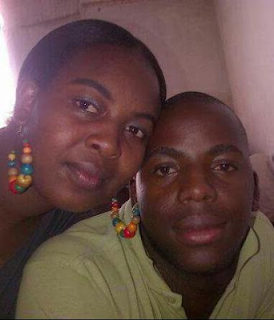 The last time Lambani and her sister had spoken to Schalk was late Sunday afternoon, the day before she died. Schalk was buried on Sunday, March 4th, in her hometown Taung in North West. She took financial care of her mother, who is not permanently employed, as well as her grandparents. Their daughter is currently in the care of her grandmother.